Excited and optimistic is how Senior Coach Nick Mitchell describes himself going into Round 1 of the VAFA season. There is plenty of pride on the line as Fitzroy goes into battle with Parkdale at the Gerry Green Reserve this Saturday to retain the Norm Johnstone Trophy, which is on the line each time the teams meet. The Roys have not relinquished the cup since being in Premier B and this will be a big test with a young team on the park. There are likely to be eight new faces in the side, with prodigal sons Max Ellis and Nathan Jumeau being named. There will also be some bitter-sweet memories for the Roy Boys, who defeated Parkdale in the final game of the 2016 season, only to miss out on finals thanks to other results on the day. Those memories are not likely to affect the five Under 19s players who will step up into the senior side. “There is a lot of opportunity for the young guys,” Nick said. “They are bound to make mistakes but if they have a go every week and play the way we want to play in terms of effort, set ups and ball movement, then I will be happy. It might have had just a short life, but already the Hipster Cup has taken on some significant meaning and will feature in the very first round of the VAFA’s Wilson Women’s Premier competition. VAFA Foundation Clubs and local rivals, Fitzroy-ACU and the Brunswick Renegades will meet in Round 1 at the Gillon Oval on Sunday 9 April, meeting for the second week in a row and this time for the trophy. 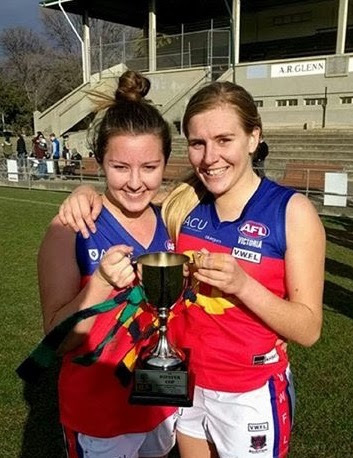 The brainchild of the Renegades, the trophy between the local teams is held by Fitzroy-ACU (see Alice and Alexa right from 2016) who plan to keep it under new coach Mick Symons. In last week’s practice match, the Roy Girls looked pretty slick and wayward goal kicking aside would have had a comfortable victory over the Renegades. This week they know a lot more is on the line and are very, very keen to get off to a winning start in the new era of VAFA women’s footy. And according to the new captain of the women’s team, we have the winning formula - Esther Harris's homemade vegan cashew cheese, Emilie Goegan's hair and those incredible Roygirl beanies (not to mention the can play a bit of footy). The Roygirls are confident they can keep the Cup at Fitzroy. We’ll have to trust them on that formula! It was a genuine mix of the established and the brand new, when the Fitzroy coaches named their 2017 captains and leadership groups on Saturday night at the season launch at the Fitzroy Victoria Bowling and Sports Club. Nick Mitchell named an extended leadership group which reflected the mix of experience in the senior squad, with Rory Angiolella taking on the captaincy role solo for 2017. The leadership role is nothing new to Rory, who has been captain for the past five years. Tom Cheshire and Corbin Stevic are the vice captains, with Max Davie, Jules Turner and Aiden Burke rounding out an extended leadership group. Mick Symons, Fitzroy-ACU Women 1 coach, announced Gemma Minuz would be the first woman to captain Fitzroy-ACU’s team in the new VAFA competition – you can read more from Gemma below. The Women’s Squad elected a leadership group of Hilary Grubb, Emilie Goegan, Luci Murphy and Mish Booth. Mish, who was the inaugural winner of the Janet Graham Perpetual Trophy for the Fitzroy-ACU Women 2 team last year, will be captain of the Women 2 team. A big thank you to Alexa Madden who has captained the women’s team through its first two seasons and has spent much of the pre-season training with Box Hill. Reserves captain is Jack Atkinson who started with the Club as an U19 in 2008. 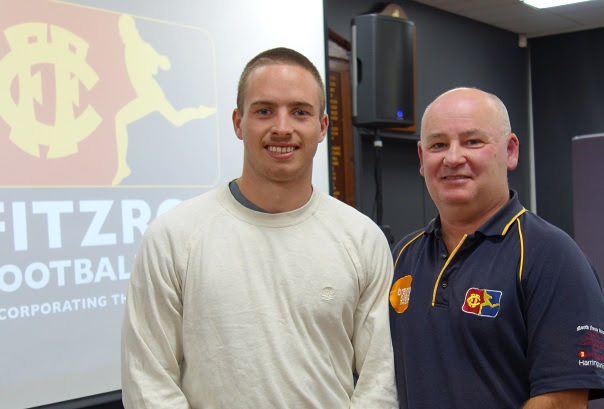 Trent Coleman announced Jared Shaw will lead the Fitzroy Thirds team. Tim Bell announced that James Butler (both pictured left) would retain the captaincy of the Under 19 (1) team, after an outstanding year in the role last year. Tim selected his captain last year but said it was a credit to James that the players had backed him in for a second year in the job. 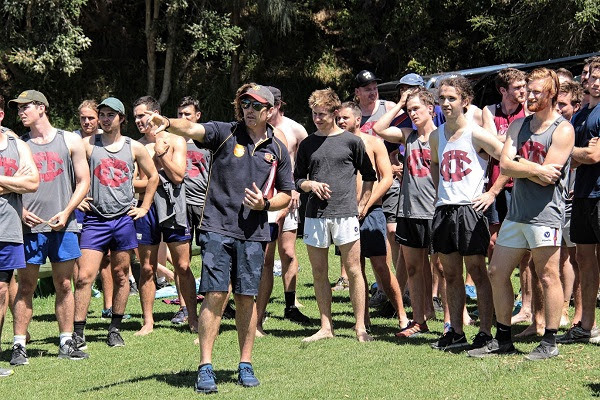 Under 19 (2) coach Greg Coleman will wait to see how the newest Fitzroy team shapes up before deciding on the team leaders. Gemma Minuz is not keeping a lid on it! 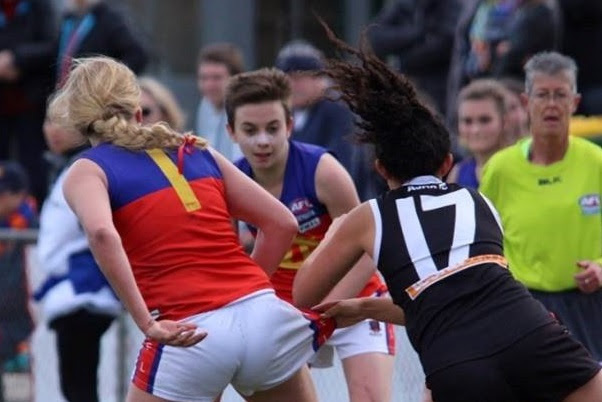 When she first arrived at Fitzroy as one of the inaugural Fitzroy-ACU team members, Gemma Minuz had played just three days and four uni games worth of football and that was more than plenty of her team mates. On Sunday, she will lead her team out in the premier division of the largest community women’s football competition in Australia – a first for the VAFA – and she says her happy team has the opportunity to set the standard. “Being a foundation club we have an amazing opportunity to really set the standard in the competition this year. “We have a huge number of new faces in the squad this year, but with a solid pre-season behind us I expect that both teams will come out strong right from the start. I have real confidence in the depth of our squad, the knowledge of our coaches and our commitment to skill development and expect both teams to set the bar high in the competition (that's keeping a lid on it right?!). The opportunity to play football in a partnership between Fitzroy and the Australian Catholic University could not have worked out better for Gemma. “From 2011-2013 I looked after Sport at ACU, which included heading up the mighty Whooping Birds (ACU's footy team) at uni games. We were always blessed with having an amazing group of girls in the team and Mark Young (then national director of sport at ACU) and I always dreamed of having an ACU women’s side competing in the VWFL. Luckily for me, I kept in touch with the Whoopers and was absolutely stoked when, two years after I graduated, I heard the news that Fitzroy and ACU had joined forces to make the dream a reality,” Gemma said. Gemma said going to her first ever game of AFLW was an experience she will never forget. “I felt like a little kid on Christmas Eve! My highlight from the night was seeing two young boys, of about 10 or 11 years old, yelling at the top of their lungs "GO BLUE GIRLS" as the girls ran onto the ground – they were cheering just as hard as they would for their men’s team and the game hadn't even begun. Gemma says she was very honoured to be voted in as the Fitzroy-ACU captain by a fun, strong and hardworking bunch of women. With a narrow miss in the grand final last year and an increase in the depth of the squad, the team has come a long way since they celebrated Lauren Atkinson's point to get the Roygirls on the scoreboard for the first time back in 2015. With her leadership perhaps they can go one step further. “I think being able to recognise the strengths of others, and utilising those strengths is one of my best assets as a leader. It’s time to book for Fitzroy’s pre-game lunch for the first home game of the season on 22 April. A new feature at BSO this season will be three rounds brought to us by the Major sponsors of the club. Round 2 will be the Royal Derby Game, thanks to the team down at the Derby and we’re keen to have a big crowd along to help boost the community feeling at the game. If you’d like to book in for lunch and catch up with the Fitzroy faithful on Saturday 22 April, please book now online. The pre-game lunch cost has remained the same and the start time is 11.45 for 12pm. Please RSVP by Wednesday 19 April. 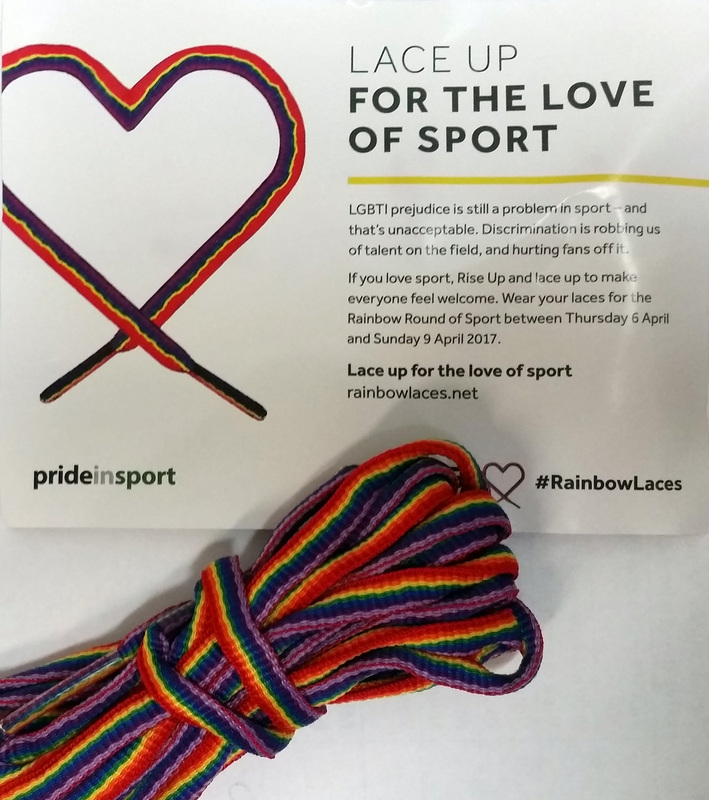 If you see some of our players running around with rainbow coloured laces this weekend, it’s because they have put their support behind a campaign called Lace Up for the Love of Sport, which is designed to raise awareness of LGBTI prejudice in sport. Fitzroy-ACU player Loz Field brought the campaign (sponsored by sports clothing manufacturer Skins) to the attention of the club and encouraged her team and club mates to get behind it. The Women’s 1 player said she was motivated to get the Fitzroy family behind the day. “I guess as a friend of the LGBTI community I thought it was important to make sure everyone feels welcome and included,” Loz said. “In this day and age, prejudice in sport is just not acceptable and the rainbow laces allow us to show our support and not only what the Roygirl spirit is but what the whole Fitzroy football club and community does in having a very inclusive and welcoming feel for everyone. The player-led initiative, which is supported by a number of high profile sports teams from around Australia, also received the support of the Fitzroy Board which agreed all players across all teams could wear the laces in Round 1 in support of the cause. You may miss seeing the smiling face of Tom Roper behind the bar in the community rooms this year, but nothing can keep him away from Brunswick Street Oval. Tom, who may of you will know as the former Victorian Minister for Transport, had a significant stroke in January but is recovering well and by all reports has made it as far as The Royal Derby in his new electric wheelchair. Tom is the husband of Fitzroy Board member, Anita Roper, and a fantastic contributor off field at Fitzroy, getting involved in everything from game-day lunch organisation to the club raffle, a bit of behind the scenes negotiating (you can’t stop these politicians) and of course pouring the reds and whites behind the bar for the post-match functions. He is currently in rehab as an in-patient at St Vincent’s Hospital, which also played a major role in Anita’s own recovery last year. For those BSO regulars, it was wonderful to see Anita in such great health down at the pre-season games against Monash and at the season launch on Saturday. Tom is pretty determined to make it to some home games this year, so keep an eye out for him. He and Anita wanted to pass on their thanks to those who have been for a visit this week and for all the well wishes. 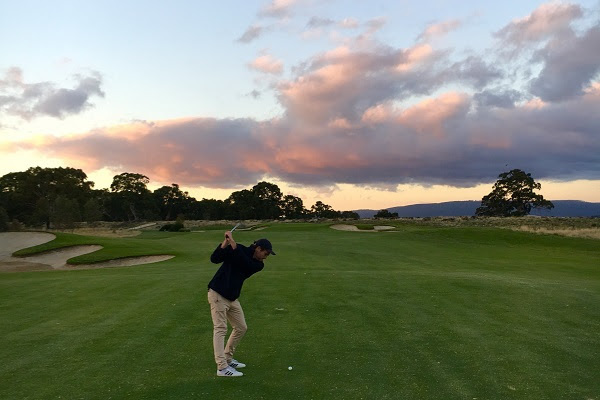 Congratulations to the winners of the Fitzroy FC Golf Day, Dan Hasenkam and Rich Kelly, who returned a round of 77, narrowly ahead of Fitzroy's Senior Coach, Nick Mitchell and his partner, Angus Hamilton. Thanks to everyone who played and to Golf Fitting Hub - Golf's Premium Club Fitting Experience and The House of Golf - Melbourne, who supplied the prizes. A big thank you also to Fitzroy Vice Captain, Corbin Stevic, who ran the day. Max Ellis looks nearly as good approaching the 15th green at the Growling Frog Golf Course as he does in the Fitzroy backline! 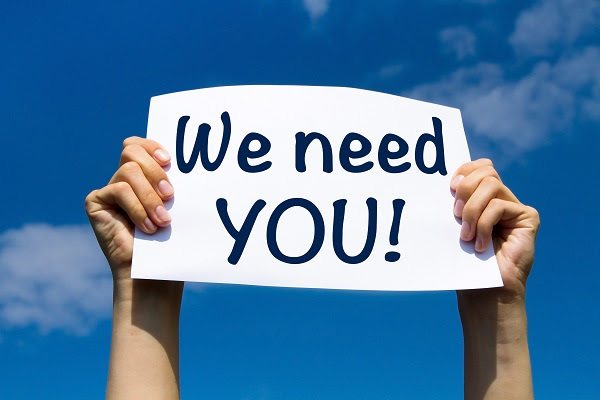 We have a range of volunteer roles still to fill across our expanding club – from helping with events to game day roles (physical and non-physical) and everything in between. If you think you have some time to offer please register your interest here or speak to one of the Directors or coaches of the club. For a young person keep for some extra work experience to add to the CV, this could be a valuable and fun way to spend a few hours on a Saturday. Brunswick Renegades vs Fitzroy-ACU Women 2 – Women’s Grading Group 1 – Gillon Oval, 11.40am, Sunday 9 April.